Eagles Landing commitment is to ensure that every guest receives a first-class experience in Customer Service, Cleanliness and Convenience as our top priorities. We promise to make every effort to achieve a positive guest experience. 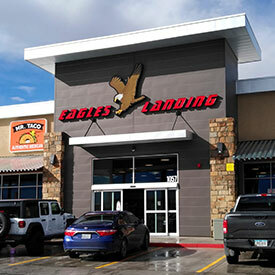 Eagle's Landing Breaks Ground in Mesquite! 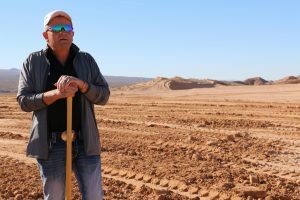 After moving millions of cubic feet of dirt and rearranging the landscape, the first new commercial project at the recently-built Exit 118 I-15 interchange broke ground on Jan. 24 with a projected opening date in early fall! "This location has LOTS of parking and is conviently near a Denny's and Wendy's (walking distance). 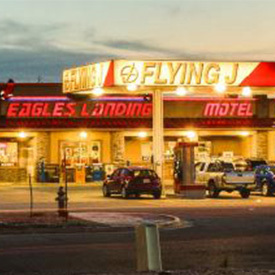 Of all the Flying J's and Pilot's I've travelled through this one has the NICEST and largest showers/bathrooms. I am super please with every aspect down to cleanliness and even decor. Way to go! I wish all truck stops had nice showers like these!" 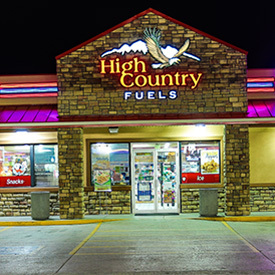 "This is the perfect place to stop between northern and southern Utah. There are a lot of bathroom stalls and they keep the bathrooms extremely clean. The staff is friendly and the selection of energy drinks is great! There is a little Mexican restaurant inside that has really tasty burritos and quesadillas. There are showers for truckers (or anyone who feels they need to use the service) as well." "This is THE place for tires. Brian the tire shop manager is an excellent guy and has seen it all. Best prices, best service and they have the cure that'll fit your budget and needs. Honest and genuine professional. Located next to the RV diesel pumps. They won't let you down. We love these guys." "Stopped here going to Moab and on the way back to San Diego a week later. Very convenient location, just off of hwy 15. Easy to get into and out of the parking lot. Yes, we bought the obligatory "I love Beaver" t-shirt and stickers, because it's just funny. Gas prices were competitive and the staff checks you out quickly to keep the line moving. Also, large and very clean restrooms. Thanks for that! 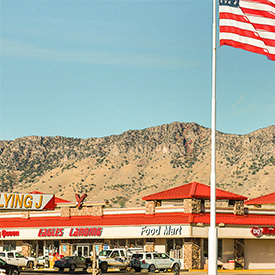 "We just stopped at the Flying j at the Beaver location. Wow! What a great experience. Taylor in the tire shop was more than accommodating with water for our RV. The Mexican taco shop had some of the best food we have ever had...and we are from Arizona. Check back with us often...lots of new information coming soon to this site!